Final Evolution Previews: Android 19, Ultra Rares, and More! Android 19 – Stoic is a stage gaining machine. Against energy attacks, he’s capable of gaining a huge boost each turn. The ability is even more relevant against physical attacks, as you’ll gain stages to counterattack or soak up more damage. His activated Power gives consistent access to a Crit effect, and he tosses in a bit of stage locking to boot. On Level 2, Android 19 gains all of the stages all of the time. He’ll have plenty of fuel for energy attacks like his Power, which conveniently deals stage damage. Android 19 – Unimpressed maintains the ability to gain stages (though at a bit lower pace). 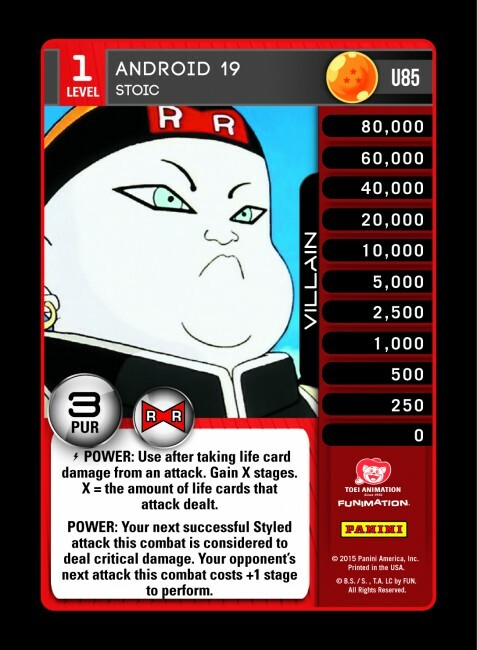 His Instant Power grants access to any attached effect, which works nicely with his Named cards. 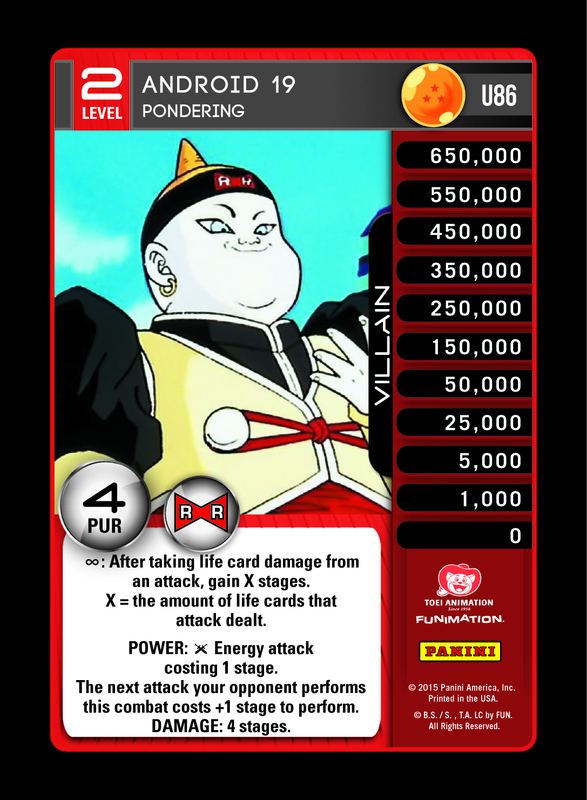 Level 4 takes the stage gain into overdrive, with a PUR of 6, the Constant effect, and an attack that gains 10 stages. It’s easy to meet the condition to turn this into an unpreventable attack dealing +4/4. Android 19’s Choke deals a rock solid 5 stages of damage, with the added bonus of +2 anger. The attach effect keeps the stage gain rolling, and ensures your Level 4 Power is hitting for maximum value. 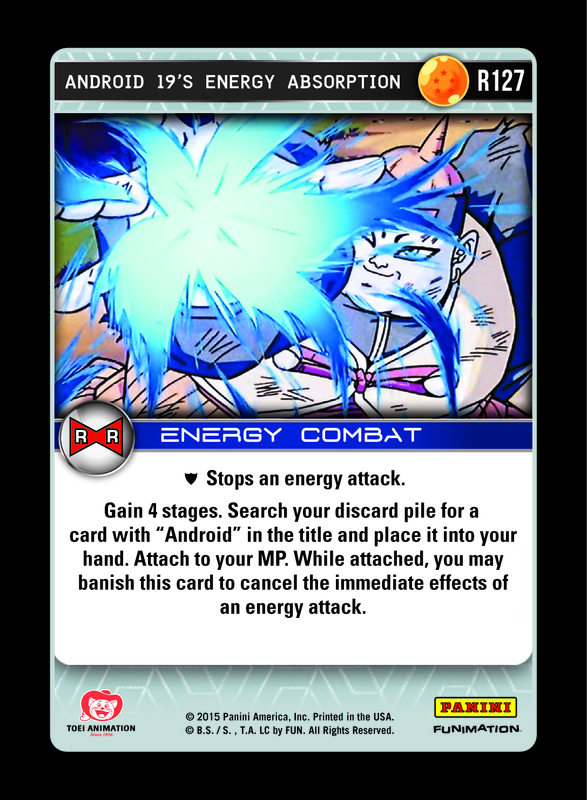 Android 19’s Energy Absorption is the worst nightmare of any energy beatdown deck. 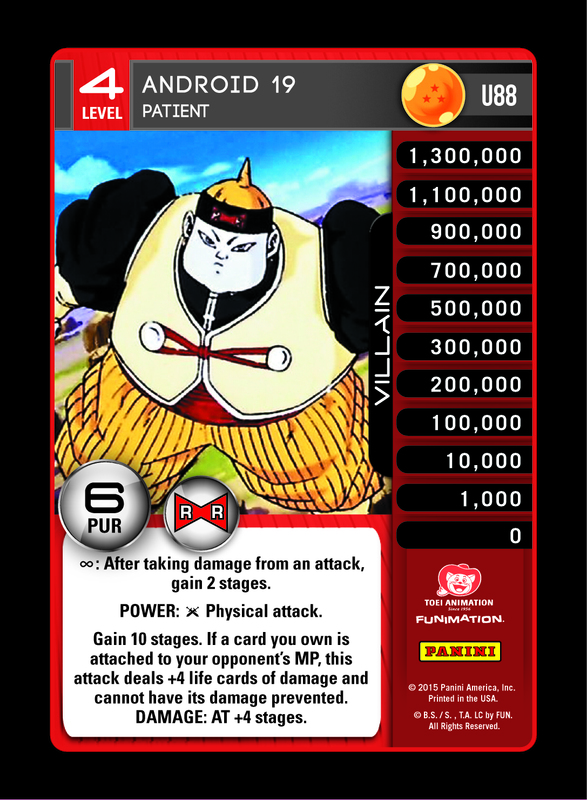 Aside from being an energy block that gains stages, it also provides card advantage. 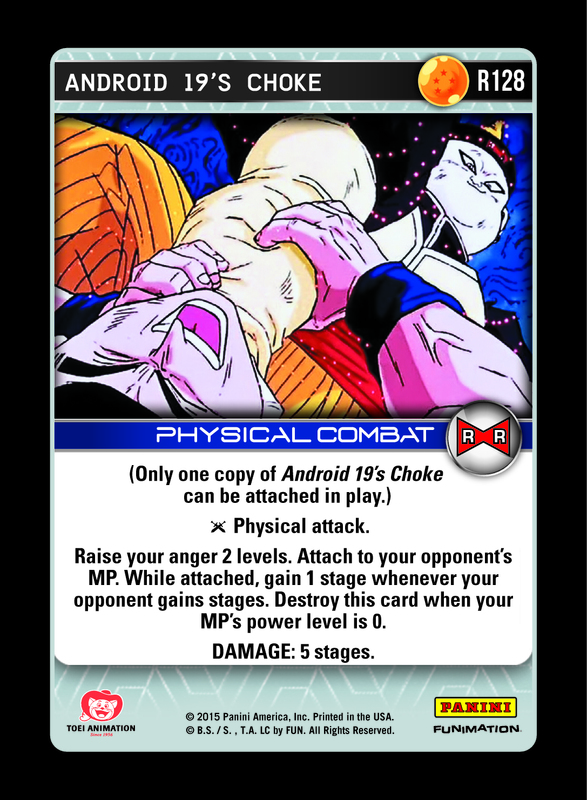 Android Superiority and Android Dominance are strong targets for this effect, and you can always grab Android 19’s Choke. Most importantly, it attaches to your MP to enable one of the most unique effects in the game. 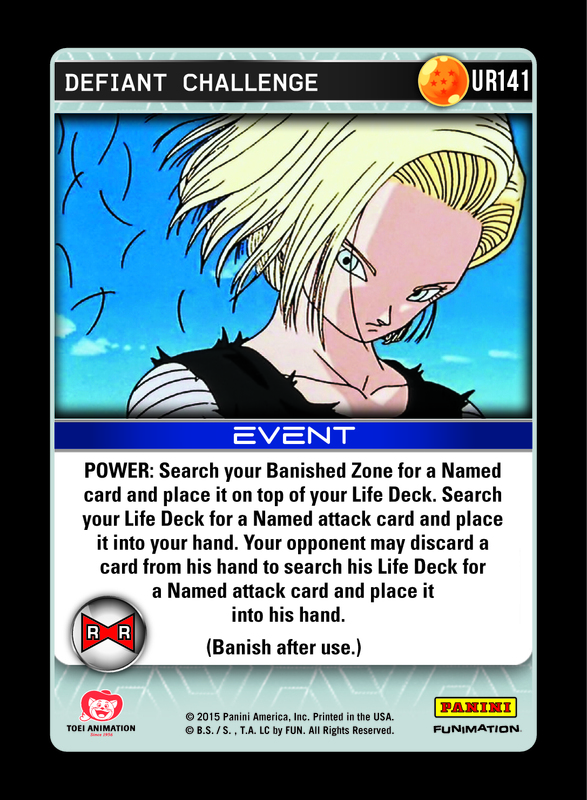 Any time it is attached, Android 19 can cancel an immediate effect and maintain total supremacy against energy attacks. 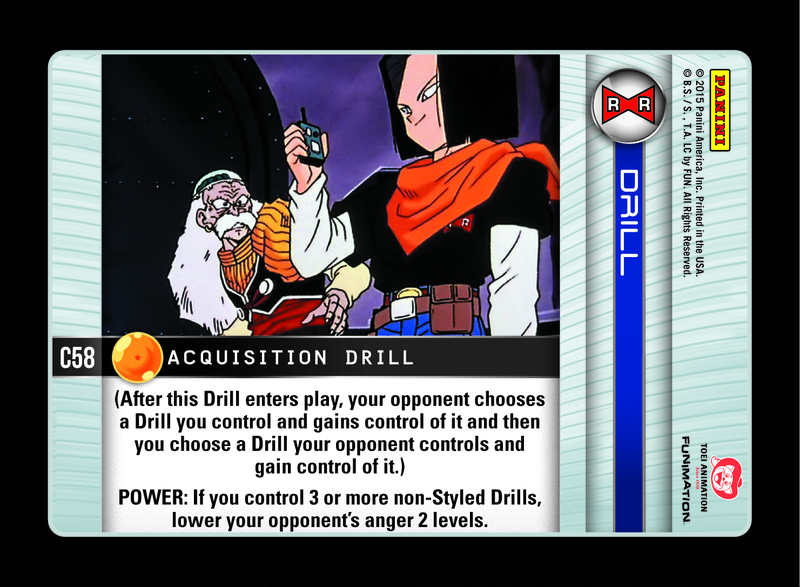 Krillin’s Destructo Disk, Namekian Double Strike, Orange Stare Down – all completely nullified! 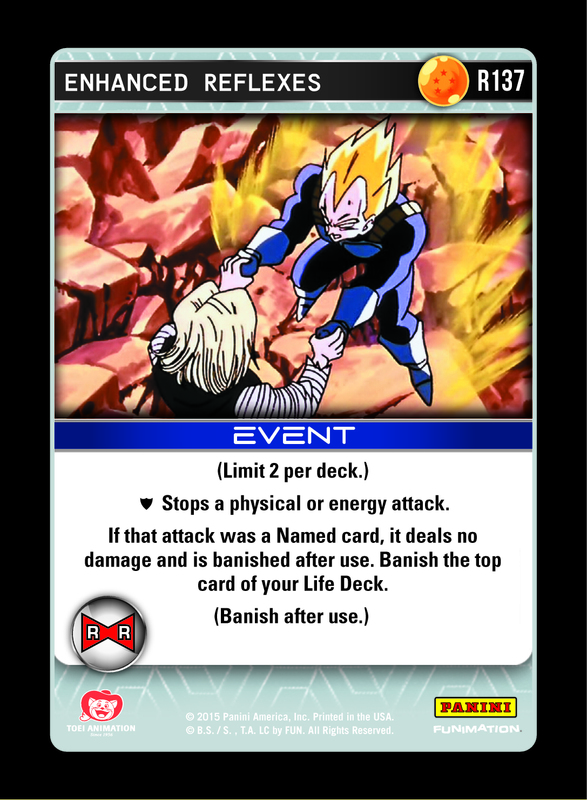 6 Life Cards of Damage and 2 Endurance passes the Crushing Beam test for Freestyle energy attacks, and the HIT effect has tremendous upside in certain environments. The Ultra Rares in this set are really something special. Awesome shots, powerhouse effects (but without belonging in every deck! ), and enablers of several entirely new strategies. Defiant Challenge guarantees you access to any Named attack, even if it started out in the Banished Zone. Your opponent will be able to grab their finisher too, but in several matchups this is irrelevant. 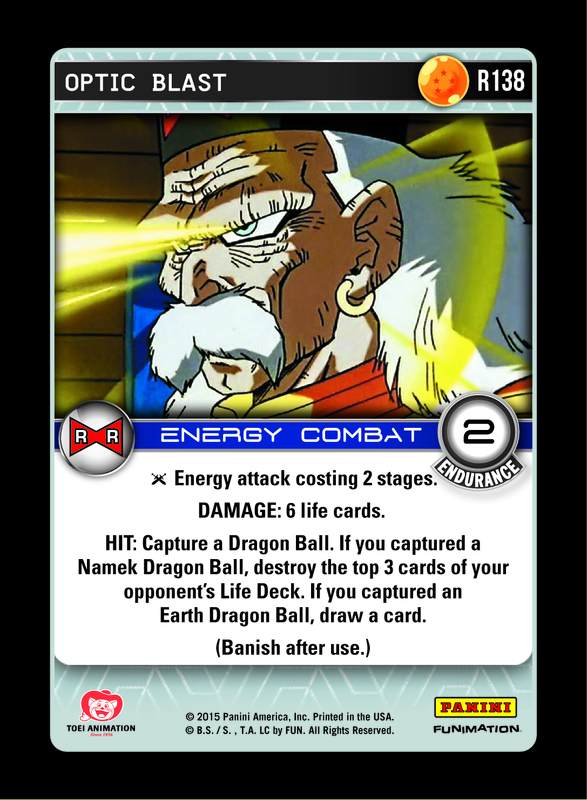 Many of the legacy MPs like Frieza, Nappa, and Raditz benefit from this card – not to mention some of the crazier new combinations! Keep it stylish, #18. 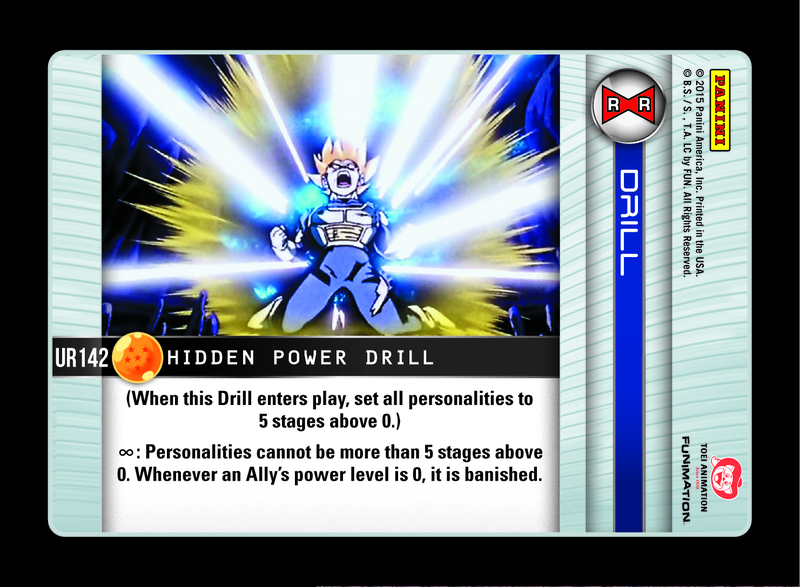 Hidden Power Drill is another card that warps the rules of the game. First, it sets all personalities to 5 stages above zero – a huge boon for physical beatdown decks. Depending on your tactics, this can even be a defensive maneuver to gain stages. Next, it prevents any personality from going beyond 5 stages above zero. This capping effect has a wide variety of applications, think big! Finally, it completes the total stage lockdown by banishing Allies that have reached zero. Ally decks will not be able to rely on juggling stages, and Hidden Power Drill is a must answer card for most control archetypes. Voila! 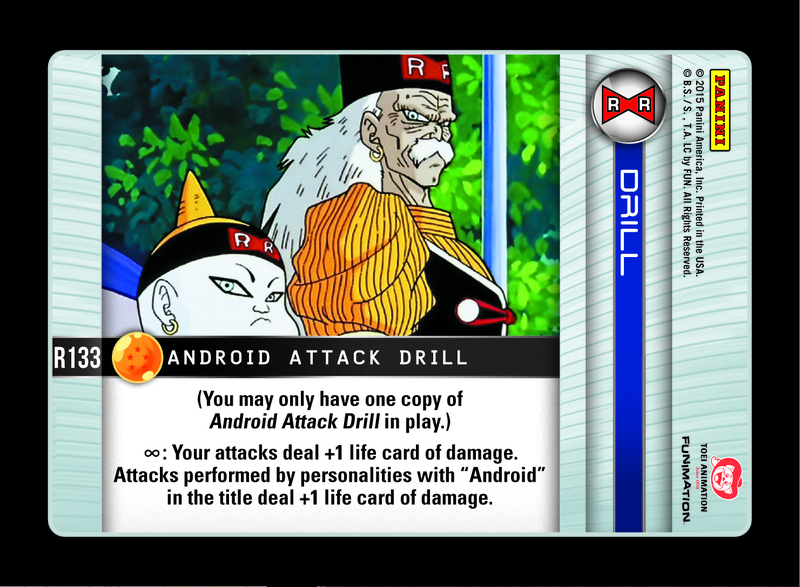 Please look forward to utilizing these cards and the rest of Dragon Ball Z: Evolution when it launches on Friday, and check back tomorrow for Organized Play event recaps. 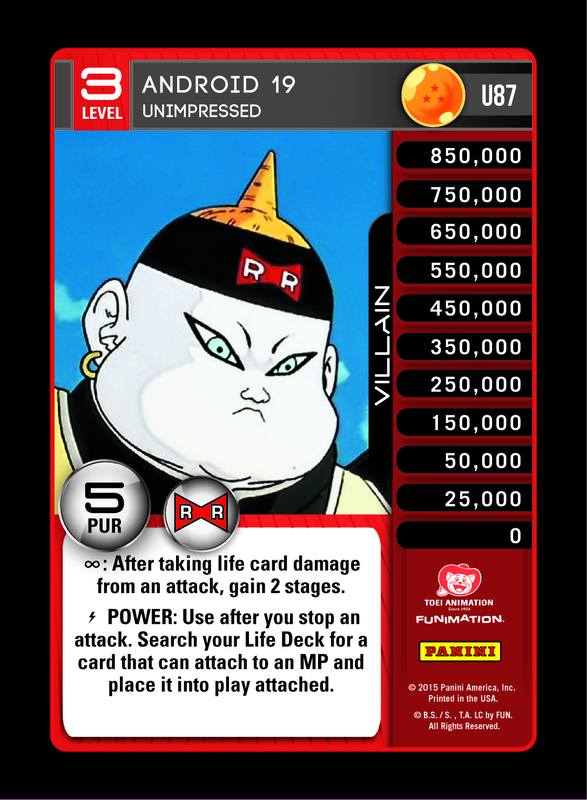 If Enhanced Reflexes card effect prevents Krillin’s Destructo Disk from doing damage and then banishes it, I’ll gladly pay the cost and banish a life card! Nice! Honestly, I’m getting tired of Ultra Rares that aren’t Limit One Per Deck. I realy like the 19 MP. It’s amazing XD, i will play it with black, or may be red?